The space industry is in the midst of numerous technological disruptions that include the proliferation of small satellites (smallsats) and the commercialization of cloud computing as a service. The growth of smallsats, exemplified by the number of planned constellations, is made possible by cubesat standards, normalized smallsats launch vehicles and continued miniaturization of electronics. The smallsat revolution has created new business, science and defense based opportunities resulting in numerous proposals for sizeable smallsat constellations. Organizations such as OneWeb, Boeing and SpaceX are developing smallsat constellations that will include thousands of satellites. 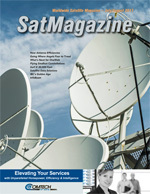 While Earth Observation (EO) and remote sensing are currently the dominant applications for smallsats, broadband services, communications and situational awareness (SA), especially for maritime and aviation markets, present rapidly growing, multi-million-dollar opportunities and some of the largest near-term markets for smallsat ventures. Similarly, cloud computing as a service, has made possible the advent of high performance computing platforms and the emergence of commodity virtual machine technology. Hundreds of cloud computing service providers have emerged, including Amazon, Microsoft, IBM, and HP. Commercial and government organizations have embraced cloud computing for its numerous benefits, including self-service provisioning where users can access computer resources as required — scale up when computing needs increase and scale down as needed. 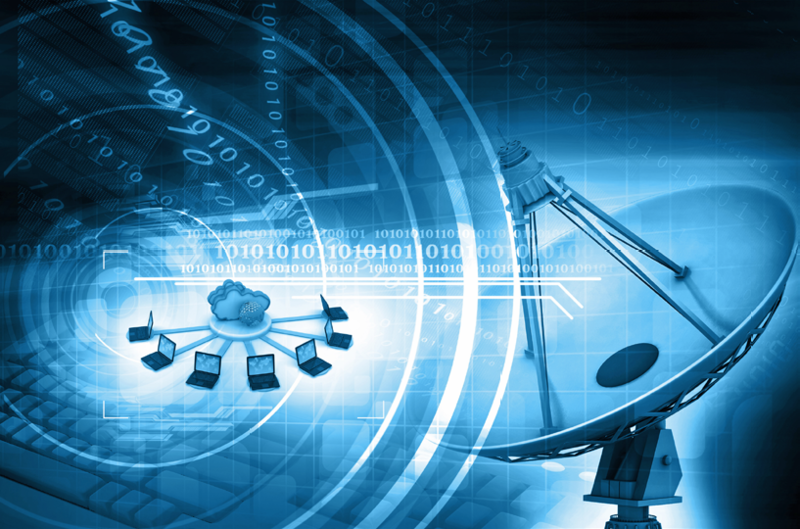 The convergence of these two technological upheavals creates an opportunity, and perhaps even a mandate, to transition traditional satellite group processing from dedicated operations centers to cloud computing centers. 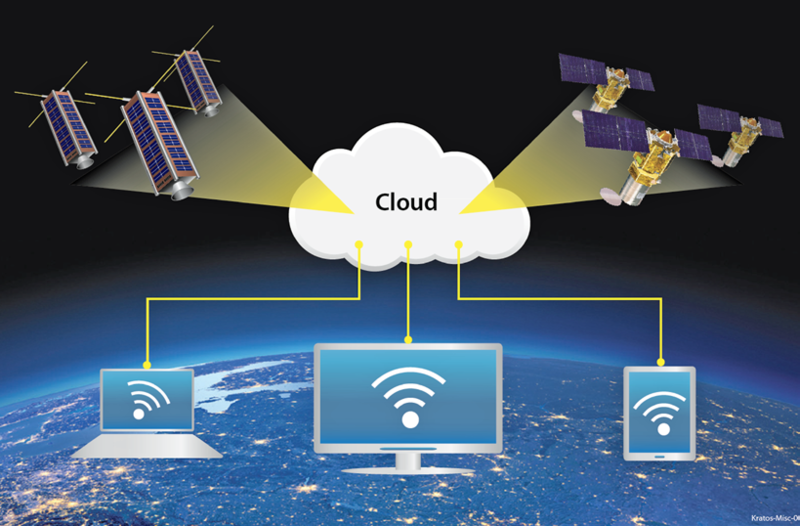 The cloud processing option is the same for smallsat operations... a tradeoff between building out and maintaining an operations center versus “leasing” infrastructure from a cloud provider. In the latter scenario, the hardware platforms and network backbone required to run operations are hosted by the cloud provider. The cloud itself does not necessarily lend any specific functionality for satellite operations other than the computing power and network infrastructure required. Smallsat operators would provide setup and operate their own applications in the cloud Virtual Machines (VMs) and containerized applications without having to worry about purchasing hardware (servers, racks, cabling, network routers/switches, workstations, etc.) or maintaining the hardware (replacement, failover, backup, upgrades, etc.). As a research initiative, Kratos used Amazon cloud computing services to simulate the deployment and operations of a large fleet operations center capable of supporting 1,000 spacecraft with 30 simultaneous contacts and 100 users. Kratos’ smallsat command and control (C2) products — quantumCMD and quantumFLEET — were used in the initiative. Working with Amazon cloud computing services, the goal of the research was to validate that these products can perform in a full scale environment representative of a large smallsat constellation’s mission operations. Specifically designed for smallsats, quantumCMD provides central data management of all core command, telemetry and ground Monitor and Control (M&C) needs common to smallsat missions. A related product, quantumFLEET, is a pure software application designed to meet the situational awareness and management needs of smallsat constellations by coordinating the operations of multiple quantumCMD applications with enterprise-grade functionality. 100 users had to simultaneously perform operations through quantumFLEET and the system had to demonstrate that it could support the command processing requirements of 1,000 unique satellites and manage their data processing needs. In this test environment, all of the satellite data was simulated. Instead of buying and setting up racks, servers, routers, switches, networks, workstations, and so on, Amazon cloud services provided the virtual environment where the applications resided and the network backbone where all the users accessed the applications. In a real-time environment, the user would log into a quantum application hosted in the cloud to run their satellite contact. Any commands sent from quantum would then be sent out over the cloud’s network infrastructure to a remote antenna site to be radiated up to the spacecraft. Telemetry would work in the reverse with telemetry monitoring being performed on the quantum applications in the cloud. Theoretically the telemetry data could also be stored within the cloud. The test setup included the instantiation of each of the 1,000 satellites in the constellation, including command and telemetry databases as well as archived telemetry data. Each of the 30 virtual machines established with an instance of quantumCMD included all 1,000 instantiations of the constellation allowing all of the quantumCMD instances to be able to handle any one of the satellite contacts at a given time. A single VM was setup to host the quantumFLEET application that provided contact scheduling and managed each quantumCMD contact through automation functionality inherent in quantumFLEET. 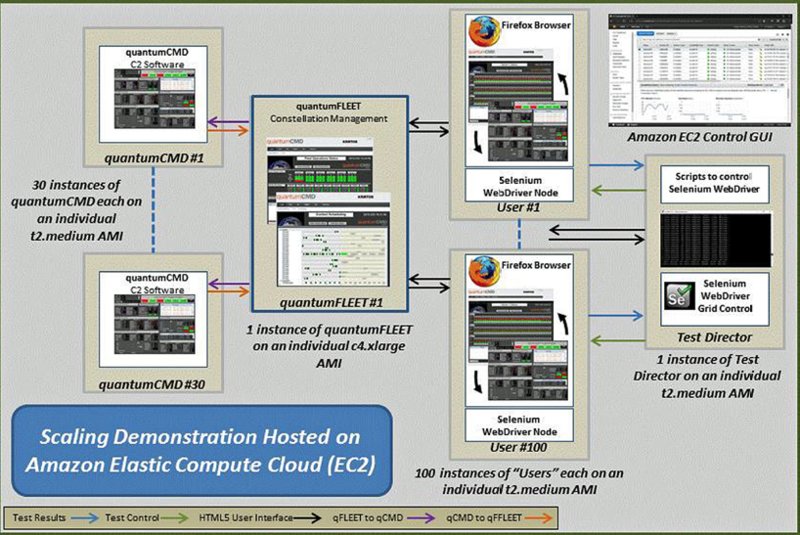 Another 100 VMs were established to host each of the simulated user web browsers which, controlled by scripts, allows the “users” to maneuver through the quantumFLEET and quantumCMD pages. A final VM hosted the Test Director which initiated the test scripts and collected test data for subsequent evaluation. Provided that VM characteristics (including kernel version) are supported by Amazon, VMs are able to be easily imported to the cloud, which enabled us to import official quantumCMD VMs without having to recreate them, improving test realism. As expected, the largest performance concern was the quantumFLEET appliance, since it maintains connectivity to all of the quantumCMD appliances, maintains a wide data set for active and inactive spacecraft, and receives frequent network traffic from user browsers. By running on a more powerful instance type–varying combinations of CPU, memory, storage, and networking capacity that provide the flexibility to choose the appropriate mix of resources for your applications — we were able to neutralize any performance concerns. Architectural considerations may focus on concerns with the maturity or general business model of a cloud service such as access to the cloud, intellectual property rights, or data security. As access to a cloud provider is provided by ISPs and communication companies, access could be subject to outages and/or rate increases controlled by external entities. 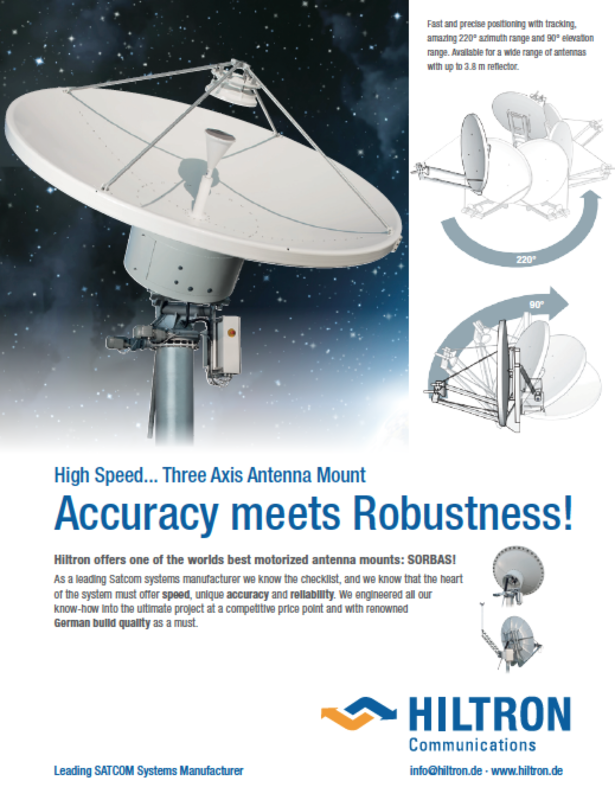 Secondary access may be purchased through alternate means at additional cost or the risk of being unable to communicate with one’s satellites must be accepted. Another risk to be considered is where, and how, data would be stored as the access and intellectual property rights of data stored by a second party continues to be a legal issue. Finally, security weighs heavily on many ground systems, especially those supporting government entities as the government continues to be very risk adverse. Securing a traditional ground system to government standards can be difficult enough when the system is maintained internally. The research initiative validated that quantumCMD products can work in a full scale environment representative of a large constellation’s (up to 1,000 satellites) full mission operations by ensuring that 30 quantumCMD applications could be operational concurrently and connect to quantumFLEET, that 100 users simultaneously can perform operations through quantumFLEET and that the system could support the definition of 1,000 satellites and manage the data needs for them. Up-front costs for building out the infrastructure simulated in this demo could theoretically run up over $1M, not to mention the long-term costs of maintaining it. At $0.05 to $0.22 an hour (and most providers offer flat rate discounts for long term contracts) the cost difference can be pretty significant not to mention the manpower for maintenance. 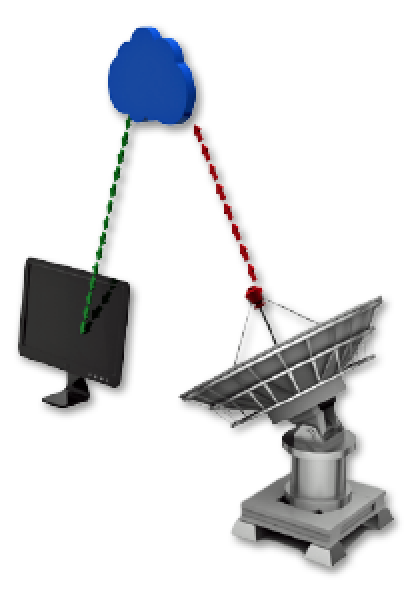 While this demo explored a specific architecture with a single cloud provider and the concept of operations was fairly simple in only considering the command and control aspect of satellite operation, the primary goal of operating a significant sized constellation using a cloud computing services was indeed validated as a feasible option. Kratos understands that the advent of smallsat constellations poses a unique challenge to traditional satellite ground system architecture. While smallsat technical requirements are similar to traditional satellites, their smaller budgets and accelerated schedules demand significant enhancements to their ground operations through virtualization, centralization and automation to keep recurring system and operations costs controlled and manageable. To satisfy the needs of smallsat programs Kratos has leveraged its hardware-agnostic ground system software FEPs, software modems, digital IF technology and smallsat command and control, to create quantum, a pre-integrated, software based, smallsat ground system solution.